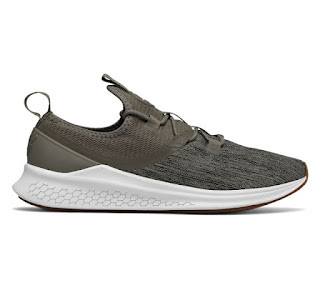 Today ONLY (2/13), score a pair of these New Balance Men's Fresh Foam Lazr Denim Running Shoes $29.99 (Retail $89.99). The Fresh Foam Lazr Denim men's running shoe delivers performance with everyday style. Designed for athletes on the move, this premium shoe features the first-ever laser-engraved Fresh Foam midsole for superior comfort. The heathered mono mesh upper mimics the look of denim for eye-catching style from start to finish. Four-way stretch collar construction offers superior comfort, no matter where your day takes you.